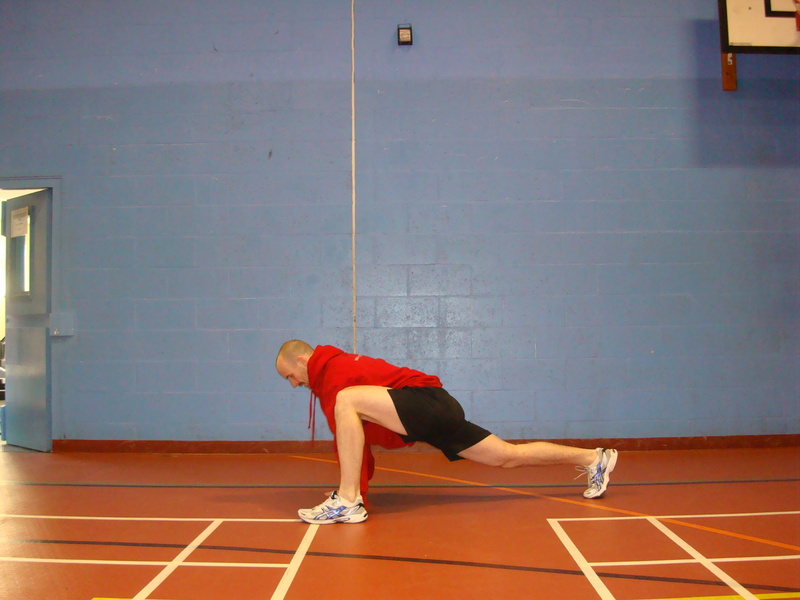 During his presentation at the UKSCA 2011 conference Bill Foran S&C Coach for the Miami Heat presented a concept I instantly liked – Joint by Joint. It originates from Gray Cook & Mike Boyle check out this link for a full explanation of the concept. 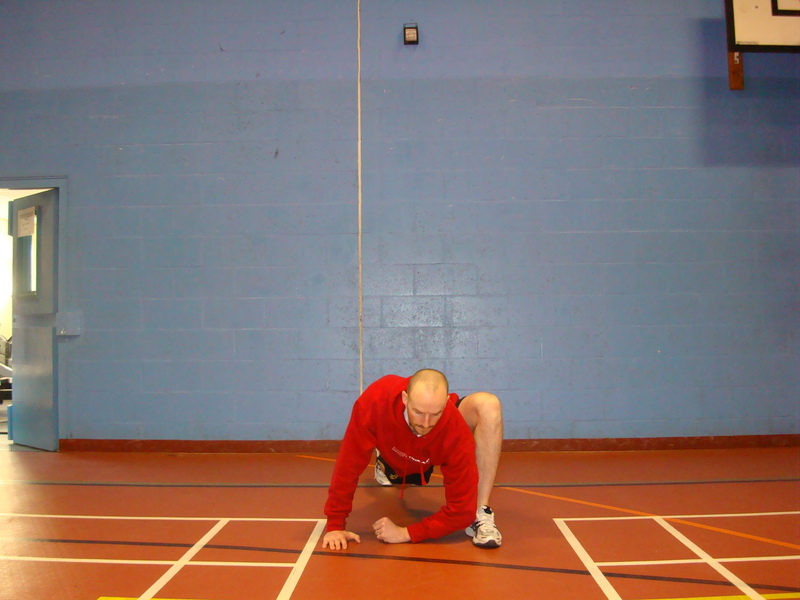 For this post I’m just going to focus on the importance of hip mobility, the impact on the body when we have lost mobility and some practical exercises to improve it. As above in an ideal scenario the hips are mobile and the lumbar spine is stable. But when we lose hip mobility, we get lower back pain because the lumbar spine becomes unstable. So this is the symptom you may see in yourself or your clients/athletes along with hamstring strains. Without getting into too technical and complex terms for the non-scientists reading this the problem starts because when the muscles in and around the hips become immobile, it is the lumbar (base) spine that begins to bend and extend to produce movements due to the fact the movement is no available through the hip. So what can we do to get more mobile at the hip? Here are just a couple of suggestions for exercises to improve mobility to the hips and take some of the strain off the lower back. You can also add in rotational movements to the stretch to get get a more three dimensional stretch through hips. I’ll add some pics for this at a later date. I love split squats for a number of reasons but one of the main reasons I get people to use them is for the dynamic stretch they provide through the hip of the trailing leg as you lower into the bottom position. 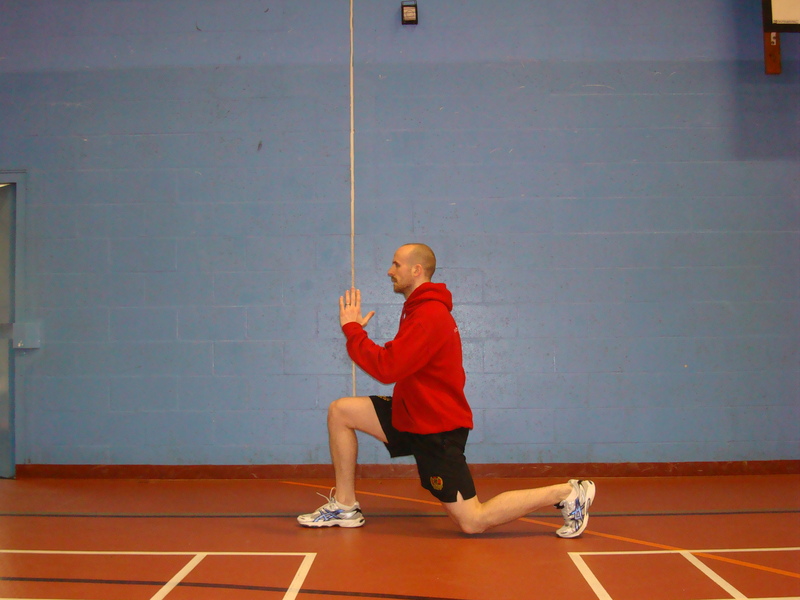 As well as increasing strength they help to either improve flexibility in clients/athletes who are tight through the hips or as a strategy to maintain a good range of movement along with static stretches such as the one above. There are lots of other exercises out there but these are two I’ve found to be very effective & I’ll add some more exercises into this post as soon as I get chance, but let me know if you find they make a difference for you. If you’re a coach and you’ve got some other good options get in touch, I’m always keen to learn. Semi-Private Training Packages are launched! We are very excited to have launched our new Semi-Private Training Packages offering high quality personal training on a small group basis (max 3-4 people per group). By training in small groups we can give you a lot more training for the same price of your normal 1 to 1 personal training sessions which will give you better results! For the same price as 4 x 1 to1 PT sessions and your monthly gym membership we are offering 3 Semi-Private coaching sessions per week, that’s 12 coach led sessions per month! For more info about Semi-Private Training check out the 3 new monthly package options on offer! https://proformance.pro/wp-content/uploads/2018/06/Proformance-Logo.png 0 0 James Baker https://proformance.pro/wp-content/uploads/2018/06/Proformance-Logo.png James Baker2013-01-05 20:32:552013-01-05 20:32:55Semi-Private Training Packages are launched!